Representative Honours: Ireland: 3 Amateur Caps; Eire: 1948 London Olympics. A member of the Irish team that competed at the 1948 Olympics, losing 3-1 to the Netherlands at Portsmouth in the preliminary round. McLaughlin later joined Portadown in 1951, scoring on his début against Crusaders on 27th January 1951. 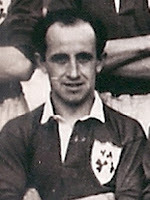 He gained three Amateur caps while at Shamrock Park, playing alongside Ports teammates Jack Dobbin on each occasion and Tommy Andrews twice. * Sometimes listed as McLaughlin. Initials possibly E.J. or J.E. 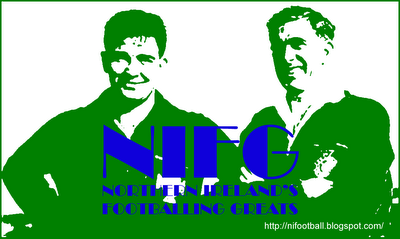 With thanks to the_red_warrior from the Irish League Forum and Jim Murphy.